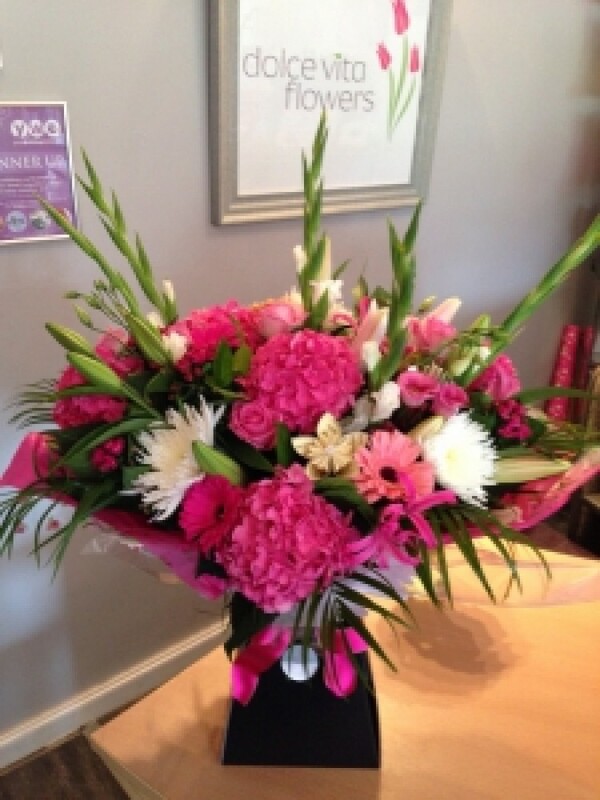 A bouquet to WOW the lady in your life or just to say Happy Birthday, Happy Anniversary, Sorry, Thinking of You, whatever the occasion. A fantastic mix of hydrangeas (when in season), gerberas, roses, blooms, lizianthus, gladioli, lilies and a mix of greenery. The presentation box has food and water, so no need for a vase. Picture shown is a luxury size inc delivery.